Atelier organises holiday and special programs… parents who have to work during holiday may be happy to send their kids for art activities! 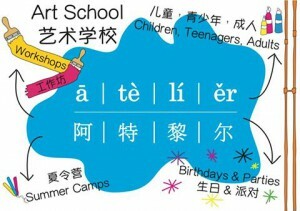 Last but not least, Atelier can also offer workshops for kids during birthdays and parties. Atelier not only offers extracurricular activities for children but also art activities for adults: photography, visual arts (Painting, Drawing, Sculpture, Visual Arts, Oil Painting…), graphic design… you also unleash your talent in Beijing! I f places to practice sports are not difficult to find in Beijing, you may wonder where to find professionals who can teach martial arts in Beijing in English or other foreign languages. NB8 Taekwondo is a school offering fitness, dance and martial arts classes / Taekwondo, both private and in group. 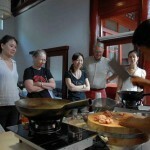 Classes are given by World class experts in their field and are available in different locations in Beijing. NB8 was founded by Master Bruno Ntep, World Cup winner, European. Champion and 6 time French Champion. The center is located at 228, 2/F, Bldg. A, Chaowai SOHO, 6 Chaoyangmen Wai Dajie. Here again, NB8 Taekwondo doesn’t offer only classes for children but can also provide with home training and team building activities. Popular amongst young and less young boys, playing soccer is an activity which will allow your kid to spend energy and learn how to play as a team. 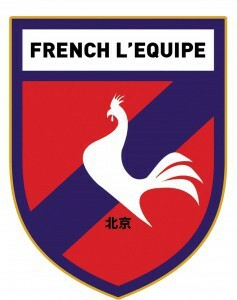 French l’Equipe organises training sessions in French language for 7 to 40+ year old football fans. Tournaments are organised on a regular basis to compete with other international teams. Kindly check our article with all tennis club contact details: http://www.beijingrelocation.com/blog/tennis-courts-in-beijing/. Most of tennis clubs in Beijing will offer lessons options. Happy Music offers group music programs for children in French, Chinese and English, a good way for kids to discover music and later select eventually an instrument they want to learn. Happy Music offers private lessons of guitar and accordion for both children and adults. Classic, folk or electric guitar lessons in French, English or Chinese! Teacher will go to your home for the lesson. 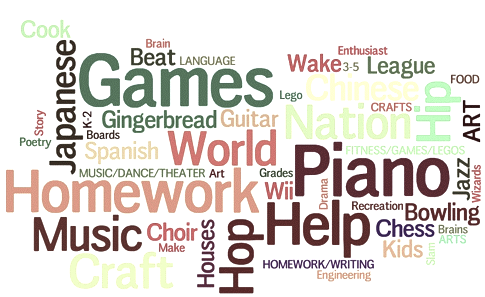 For those in love with foreign languages, learning Chinese can fit under the extracurricular activities. Tailor Made Chinese Center offers private and group lessons for kids and adults. Classes can be taken in their learning center or teachers can visit you at home or at your office in Beijing. Equuleus International: BHS approved club. For kids and adults. Chaoyang district. Note: Atelier Art School, NB8 Taekwondo, TailorMade Chinese Center, French L’Equipe and Happy Music companies are all members of The French Connection, a group of enterprises in Beijing offering premium services to expatriates and their families. Where to practice ice hockey in Beijing? 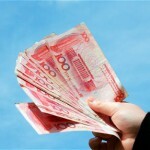 Before leaving Beijing, get your Chinese pension back!